Heart Amethyst Stud Earrings. 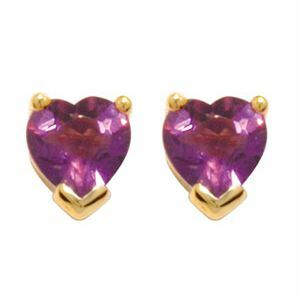 Sparkling dark purple Heart Cut Amethysts crafted in solid 9 ct gold stud earrings. Gemstone: 2 x Amethyst dark purple heart 5x5 mm.